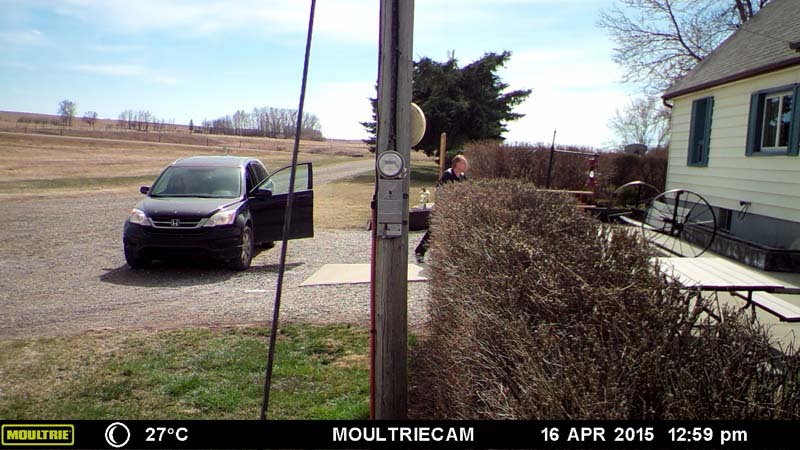 On April 16th 2015, Strathmore RCMP received a complaint of a break and enter to a rural residence northwest of Strathmore, that occurred sometime that afternoon. Suspect(s) forced the front door open, taking some jewelry and a laptop from the residence. A mounted camera took some photographs of a male and a female that were on the property that afternoon, and are of interest in the investigation. The couple drove onto the property in what appears to be a dark Honda CRV. The male appears to be a Caucasian male in his 40s, with light colored hair, glasses and facial hair. The female appears Caucasian, with long brown hair. The Strathmore RCMP are looking for any information regarding the identity of this couple, please advise Constable DAMEN, or call the detachment at 403-934-3968.